I just reposted this at cliscep.com. I hope that’s alright. I’m sure your interpretations (intuitions?) about China’s longterm policy goals are right. Much of it is well known e.g. the overwhelming aim of lifting the rural population out of poverty and thus fending off popular discontent – this has been a recurrent theme of enlightened rulers of this centralised state over millennia. Two things make me think our interpretation of China might easily go horribly wrong. One, which you highlight, is that our own obsession with energy transition leads to a totally false interpretation of China’s energy policy, and your article corrects this convincingly. The other may be more controversial here. The Thatcherite revolution led to the total defeat of the idea of state control of the “commanding heights” of the economy. This means that the generation born since the 1970s has no idea what a state planned economy looks like. You may not like state control, but a situation where almost nobody in the West has any experience or understanding of social planning means that we are entirely unable to understand and interpret the policy of China, or India or Russia for that matter. Thanks Geoff for reposting the article at Cliscep. The model of state control of the commanding heights of the economy is not one that China is pursuing. It is something quite different – and far more ruthless – that produced 10% growth rates for over 20 years, Japan in its most rapid post-war growth phase only managed about 7% growth. Take, for instance, the production of lithium-ion batteries. For a manufacturing economy, it is a good market to get into. Compared to say steel or shipbuilding it is higher value-added production. Having secure supplies of the major raw material means that it can undercut the competition when the spot price peaks, thus gaining market share. I think this is why China now dominates wind turbines (needing the rare earths for the magnets) and solar panels. At the same time, electric cars do not reduce CO2 emissions when 80% of the electric comes from coal, but it does both satisfy the rapidly rising demand for cars whilst constraining choking smog over the cities. 1, Is there a “global climate change crisis” to be concerned about? 2, will the proposed menu of so-called “mitigation policies” impact the “clinate crisis” in a positive way? I think that your two points can be put into a single question that is also more all-embracing. By acting, is there a reasonable expectation of creating a better situation than by not acting? This can be applied to many areas of policy. For instance, many individuals or small charities over the years have realized that they are unable to solve global poverty. But they have successfully put in place local programs in some of the poorest countries that have made a huge difference to some people’s lives that far outstrips the cost. In terms of climate, suppose there is CAGW on the way, caused by rising GHG emissions. The evidence might not back CAGW, but look at the what-if scenarios. Clearly, reducing global GHG emissions is not possible, as the repeated failures to implement policies testify. But proper scientists will recognize that with finite resources, the best way for them to reduce the catastrophic consequences of warming is to successfully predict roughly when, where and the magnitude of those catastrophes. For instance, one of the easiest should be sea-level rise. 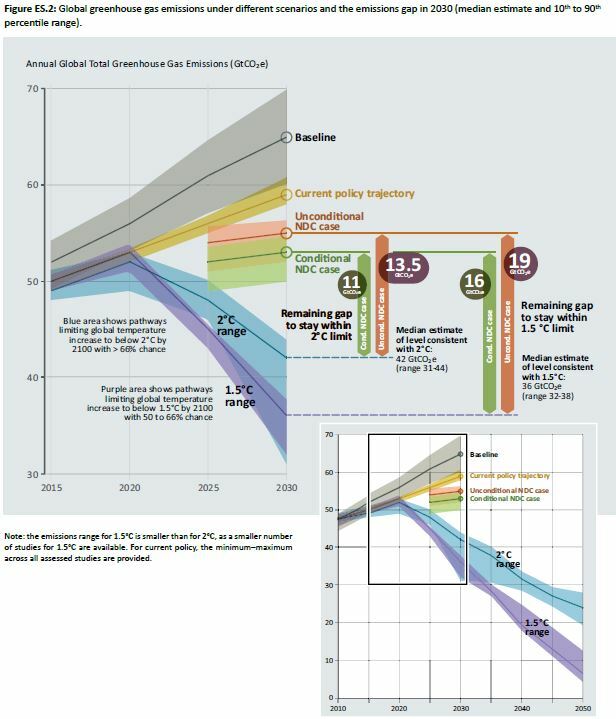 They should recognize that IPCC’s best estimate is for up to 85cm by the end of the century. So sea defenses to guard against any rise over the next thirty years only need to be 30cm or less than currently. To say otherwise is to waste money on false alarmism. It is similar to a doctor when diagnosing cancer, failing to reassure a patient who thinks they will die in a few weeks, when it is likely that with treatment they could either be clear, or live for years. The issue for alarmists is that in defining better the scope of the CAGW issue might find that the catastrophic part is of their collective imagination.